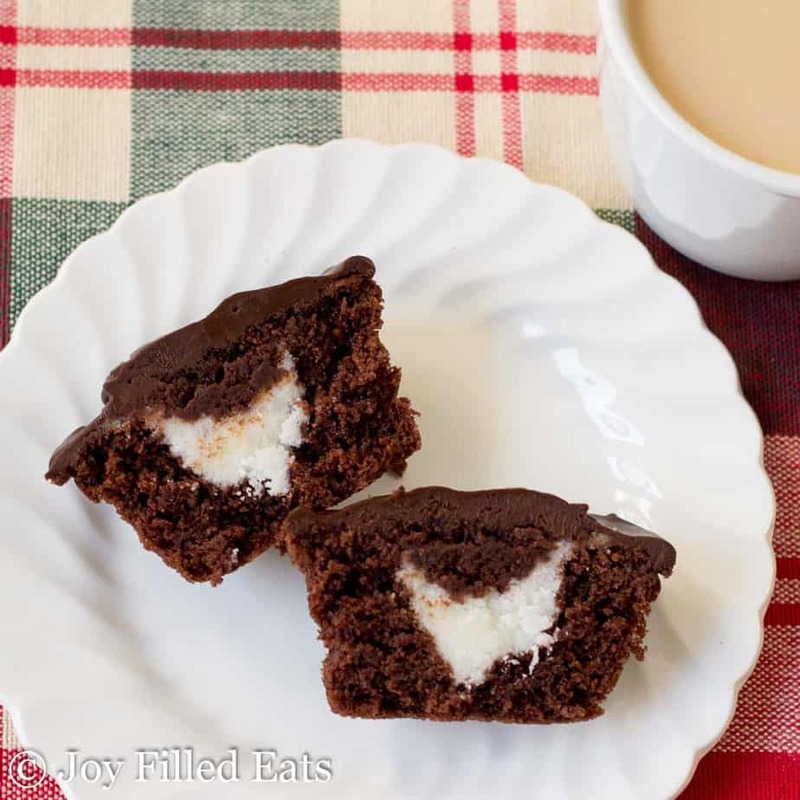 The dark chocolate and peppermint combination is always a hit and these Dark Chocolate Peppermint Cupcakes hit it out of the park. 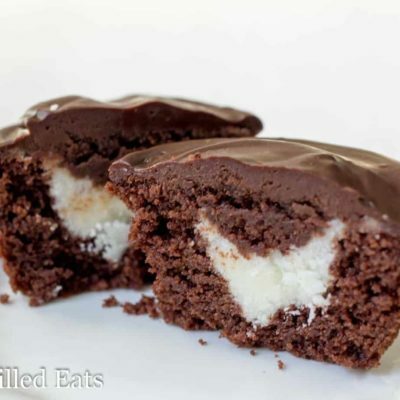 With rich chocolate cake, peppermint buttercream, and a smooth ganache icing they are simply amazing. My dad loves chocolate and mint. One of his favorite candies is the little Andes mint chocolate pieces in the green wrappers. When he retired about 5 years ago I made a dark chocolate peppermint layer cake for his party. It was splendid. But it was from the Cake Mix Doctor cookbook and full of sugar, gluten, and all that jazz. This time of year I crave mint. It reminds me of candy canes which remind me of Christmas. I’ve been dreaming about that chocolate peppermint layer cake and wanted a healthier version. I chose to make cupcakes because they are easier to store and serve than a full layer cake if you aren’t cooking for a crowd. 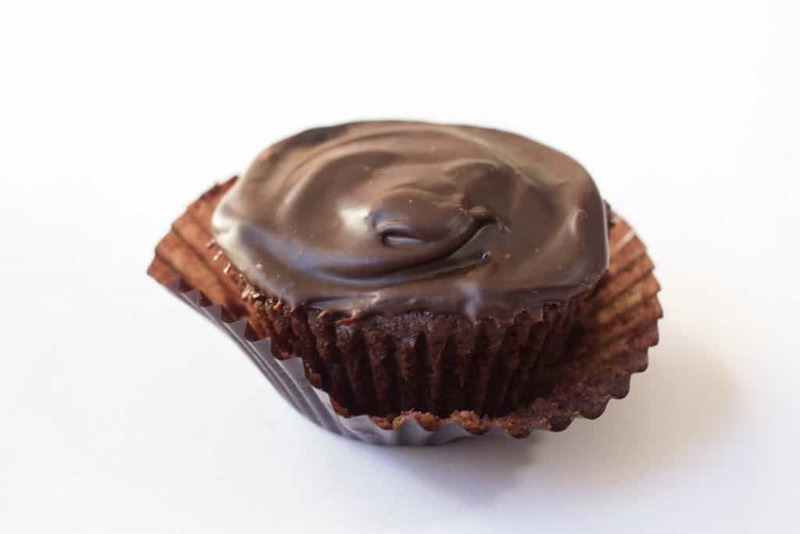 I also kept this recipe on the small side, making just 6 decadent cupcakes, but you can easily double it to make a full dozen. I will readily admit that I’m one of those people that licks the bowl clean after making some yummy batter, whether it has raw eggs or not. I was licking my cuisinart blade thinking how bad it would be if I admitted that. But here I am. I do not recommend licking sharp objects. I have not cut my tongue yet but I am not responsible if you do. 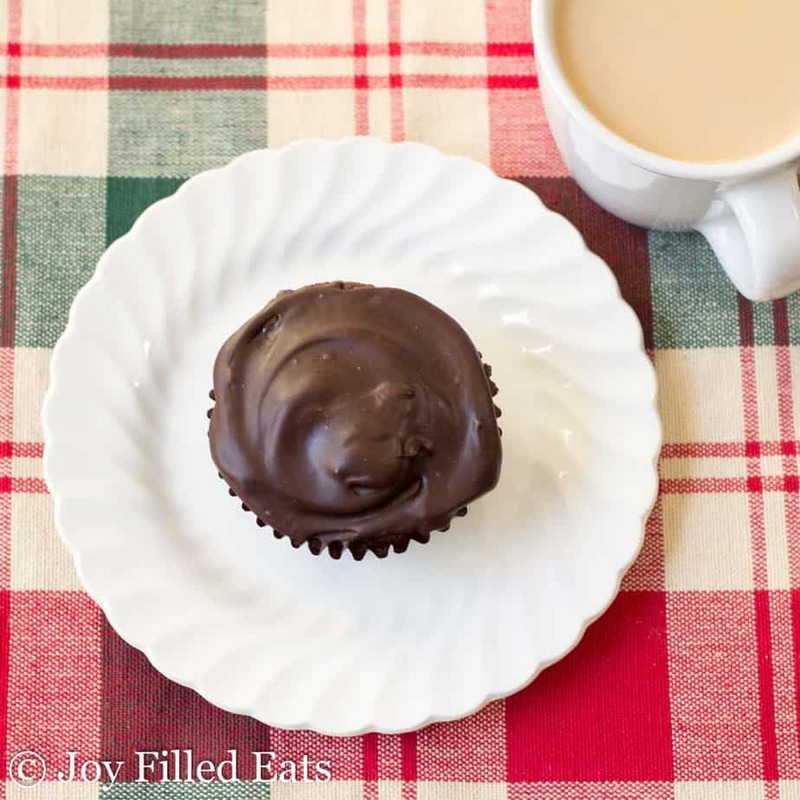 Dark Chocolate Peppermint Cupcakes are perfect for the peppermint patty fan in your life! Or the junior mint fan. Or the peppermint hot chocolate fan. 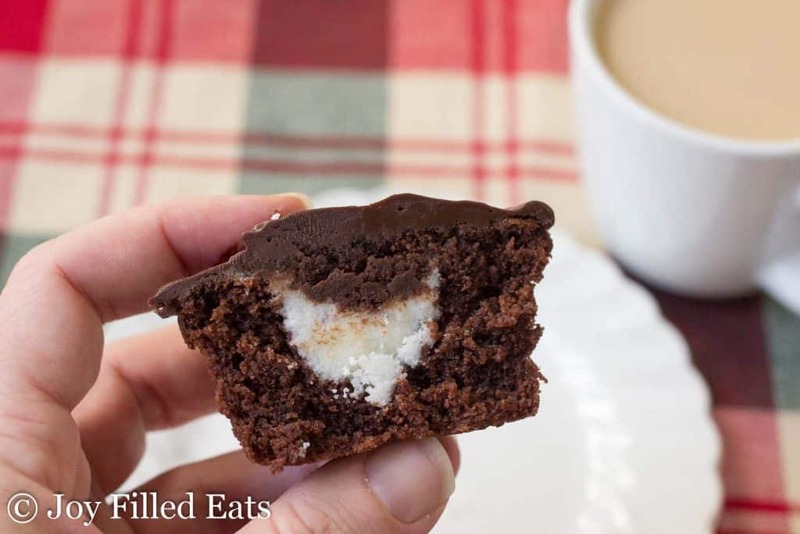 There are so many delicious treats with chocolate and peppermint it’s no wonder I had to make it into a healthy cupcake! Preheat the oven to 350. Line 6 holes on a standard sized cupcake tin with paper liners. In a food processor pulse the cake ingredients until smooth. Divide between the prepared cupcake liners. 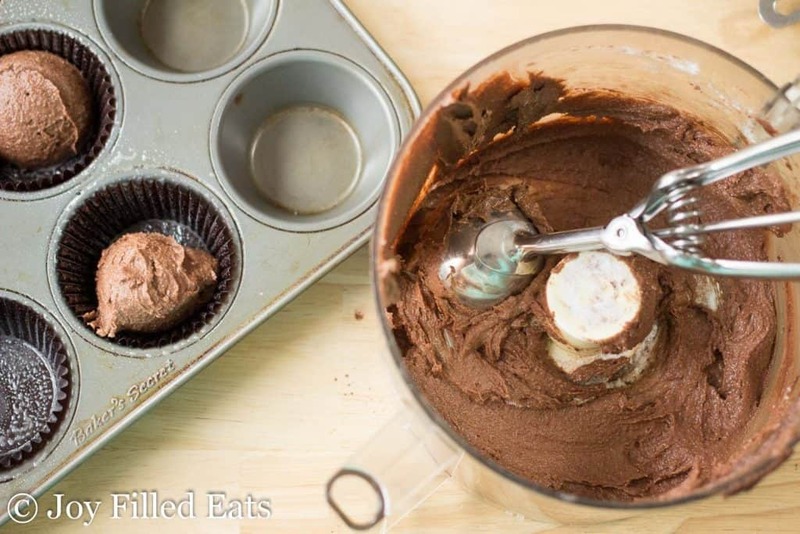 Bake for 26-28 minutes or until the cupcakes no longer jiggle and feel firm when lightly pressed. Cool completely. Meanwhile, in a small bowl, stir together the ingredients for the buttercream. Set aside. In a separate small bowl microwave the heavy cream and peppermint extract until hot but not boiling, about 2 minutes. Add the chocolate chips and stir until they are melted. To get a very smooth, thick ganache transfer to a small blender and blend until thickened and glossy. 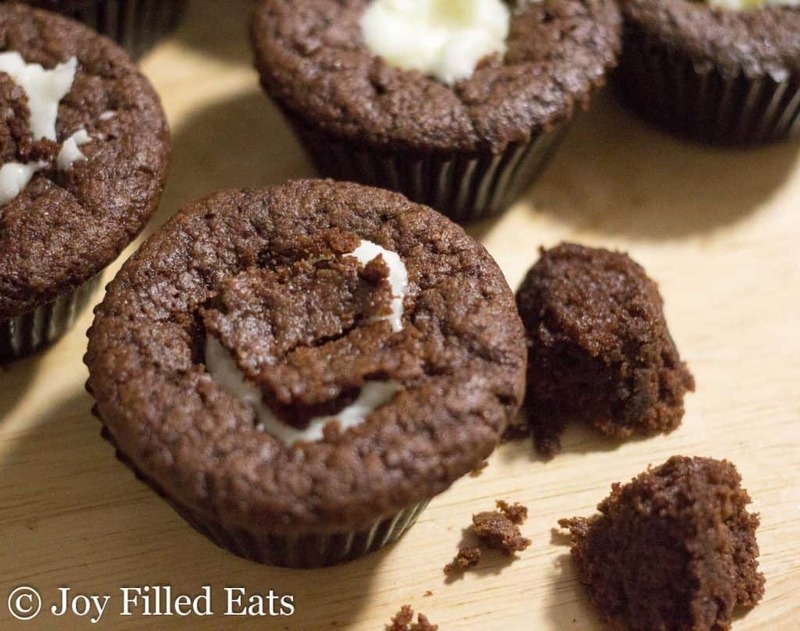 To assemble: cut a small piece from the centers of the cupcakes. Divide the buttercream between them. Put the piece of cake you removed back on top. Spread the ganache over the cupcakes. 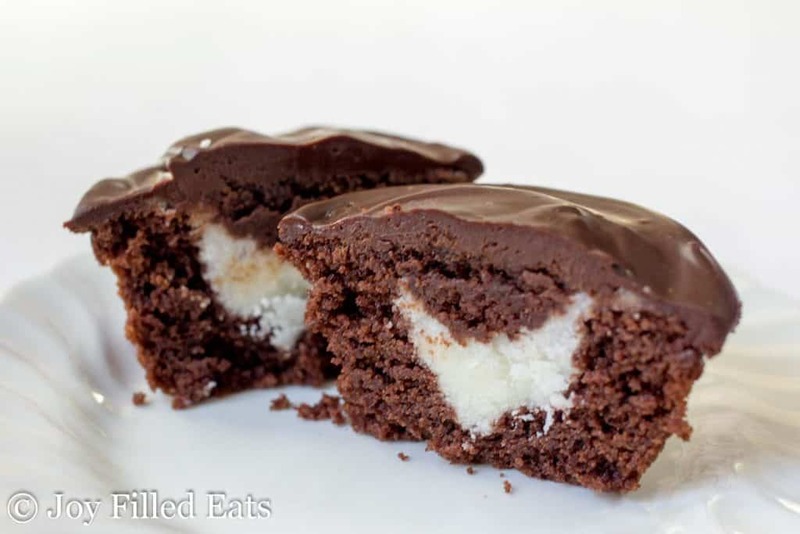 Store your Dark Chocolate Peppermint Cupcakes in the fridge. 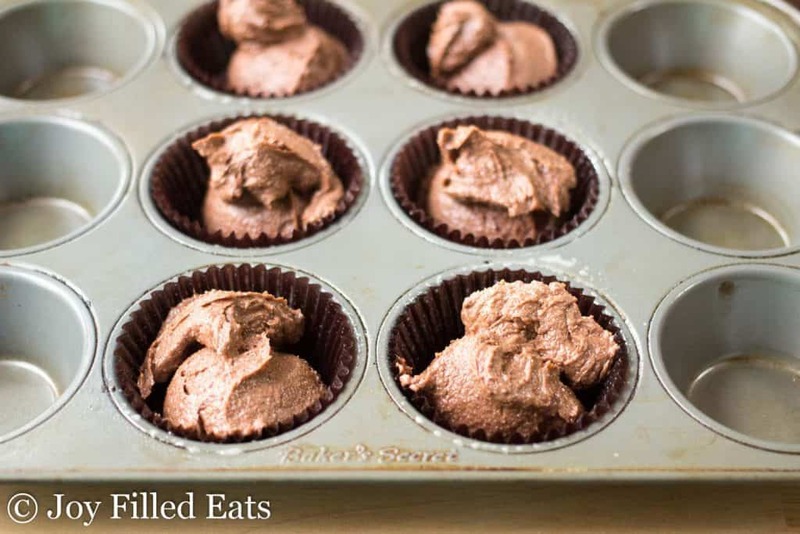 Actually made these in a mini cupcake pan. Used a pastry bag and tip, and just filled each one with a bit of the buttercream. Spectacular! My friends loved these bite sized cupcakes. Oh, I also love them frozen. A nice summer treat. I ran the ingredients through a nutrition calculator. I just checked them again. 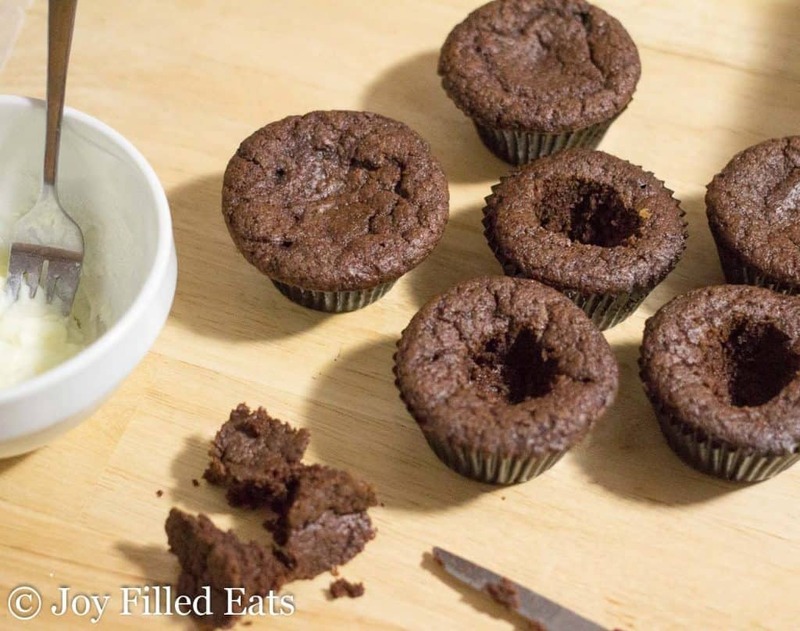 These have 5 net carbs per cupcake, not 4. Sorry for the discrepancy. 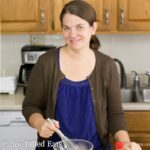 Just wondering if the THM blend can be used instead of the almond flour? Does the almond flour make it taste grainy or heavy? Thinking this would even have all my kids on board! Or if it is too grainy more for me! I prefer almond flour in baked goods but baking blend would work too. Just use a little less. It isn't as moist as almond flour.